The Garden in 100 Objects Exhibit at the Missouri Botanical Garden in the Spink Gallery of the Ridgway Visitor Center. 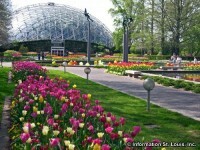 Admission is included in the regular Garden admission fee. See website for more info.